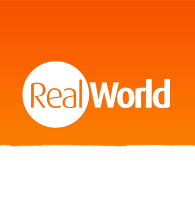 Half a decade ago in 2011, Peruvian politician Jose Silva Martinot claimed that up to 70% of international tourists only come to the country for two reasons: Machu Picchu or Cusco. While the numbers might be debatable, it’s certainly true that far too many miss out on so much of what Peruvian holidays have to offer. And there are few more beautiful, or indeed well hidden, sights than the mesmerising lost city of Kuélap. It is believed that work building Kuélap began at some point between 900 and 1100 AD, although settlers are believed to have lived here long before that. 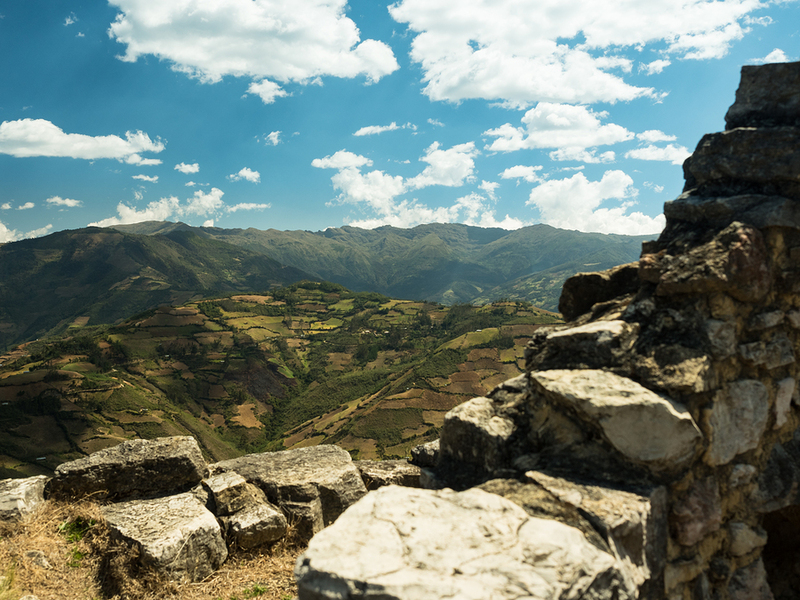 Regardless of the exact date, it was built by a culture known as the Chachapoya, of whom very little is known and what is known often comes from the stunning ruins they’ve left behind. One thing we do know however is that they were often, rather fittingly, called ‘the warriors of the cloud’. 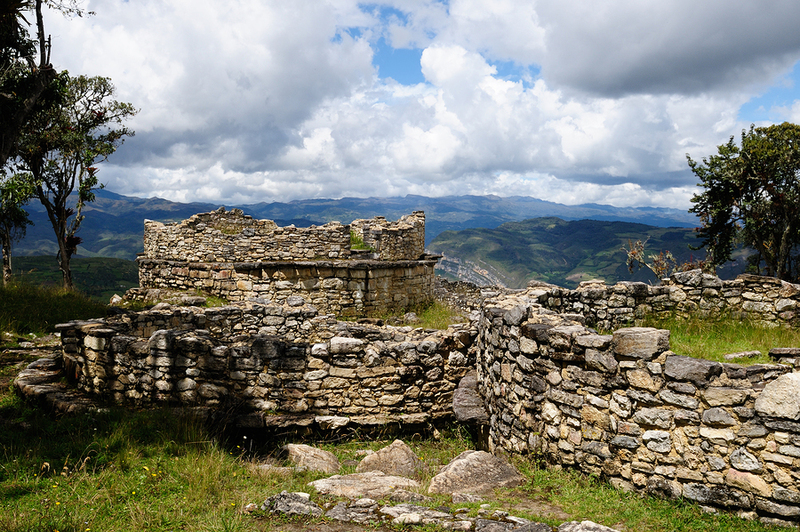 In their time, it is believed that 300,000 inhabitants may have lived here, before the city was abandoned and left to fall apart and be taken over by trees due to the Spanish conquest of the Inca Empire. Today, Kuélap has an almost mythical beauty. Of course, great natural beauty is an important part of the Peru holiday experience, but this is something wholly unique. It’s this mixture of its place high above the sea and surrounded by incredible greenery which has melded together with the city that creates sights like no other. But none of that would be the case if the buildings left behind weren’t such architectural masterpieces. 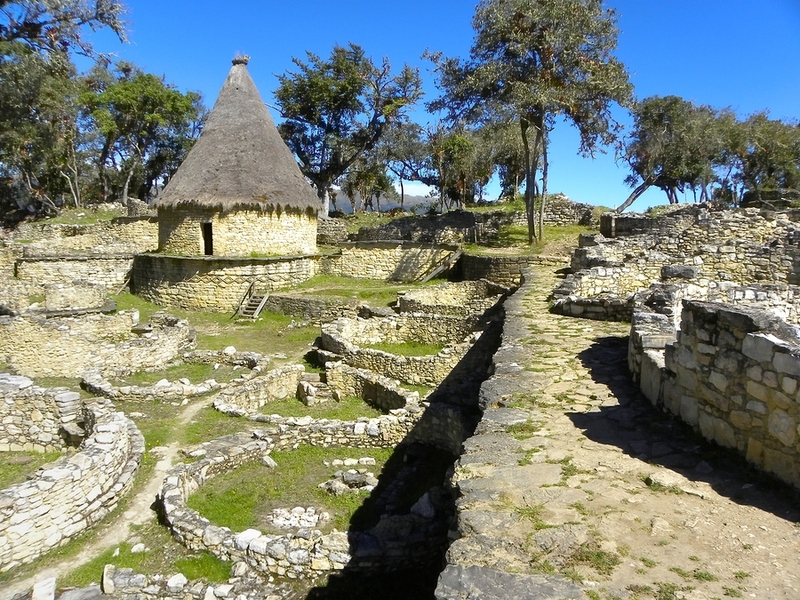 The adoption of ceramic technology gave the Chachapoya a signature style, along with their use of huge, awe-inspiring walls (some of which reach 20 metres in height, with a thickness of 80 centimetres, an incredible architectural feat for the time) and creative use of shapes. Kuélap is also a larger area than many people expect or realise. Home to hundreds of buildings, it’s far more than a fortress, as is often suggested due to its imposing figure. This was a city, complete with buildings for all kinds of purposes beyond military use. Kuélap was discovered in the mid-19th century (1843), apparently be accident by a judge from Chachapoya, and was later excavated by a Peruvian geographer of Italian descent, Antonio Raimondi in 1870. It was then visited by several explorers throughout the 20th century and has recently gained traction as a tourist attraction. This is in no small part thanks to it being opened up with the help of cable cars, which were built with an investment of 18 million dollars. Astonishingly, it now takes only 20 minutes as of 2017 to get from the nearest town Nuevo Tingo to the lost city of Kuélap, while previously it took around an hour and a half and was a difficult trek, which was not accessible to all. The best way to experience Kuélap is through a Peru guided tour, where not only will not only enjoy all the benefits of the spectacular sights of Kuélap, but you will also be able to learn all about the lost city in the flesh.